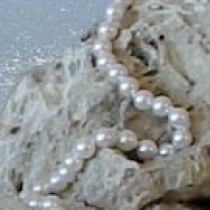 18 Inch Hanadama Akoya White pearls, 7.5-8 mm, perfectly round and high luster. The certification is done in Japan and will take approximately 2-3 weeks, so this is the expected delay for delivery of these wonderful pearl gems. 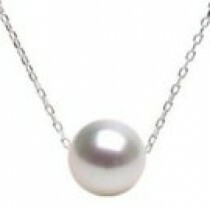 This 18-inch, 7.5-8.0 mm, hanadama akoya pearl necklace is the finest akoya pearl quality ever seen! 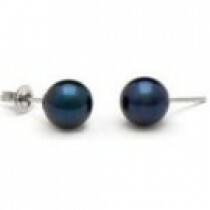 These Flower Pearls feature a slight rose overtone, are perfectly round, offer the highest possible luster, have the thickest nacre and the cleanest surface. 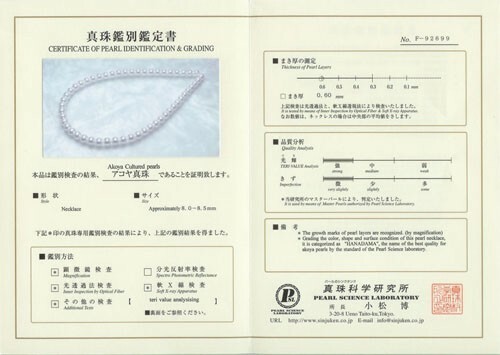 This hanadama necklace is accompanied by a numbered certificate from the Pearl Science Laboratory of Japan, which details the exact quality specifications. 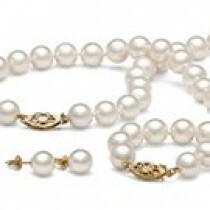 The strand is double-knotted on white silk and is finished with an elegant 14-karat, solid gold clasp. 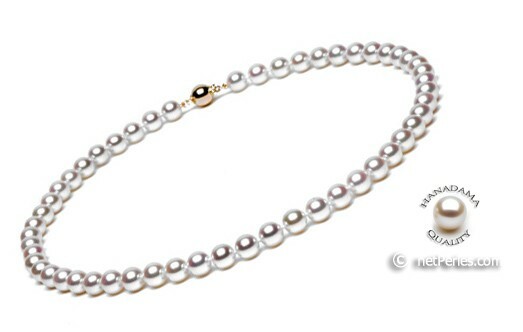 By purchasing this hanadama pearl necklace you are guaranteed to receive the absolute best akoya pearls produced in the world today. You have the choice between Yellow and White gold clasp.